Much like his music, a conversation with Richard Paul Ashcroft quickly expands into a freeform voyage to the outer limits of the astral perimeter. Back with a new musical identity following the third and final collapse of his planet-conquering band, The Verve, the 38-year-old rocker riffs through interviews like a virtuoso jazz player. He leaps from Warhol to Picasso, Marvin Gaye to Coldplay, football to fatherhood, often talking in vast and shapeless rambles, rarely drawing breath. A survivor of the great Britpop crash of the late 1990s, the singer-songwriter born in Wigan, near Manchester, has had an uneven decade since. At times he seemed caught in one long, downward spiral from chart-topping, intergalactic rock superstar to domesticated, polished, prematurely middle-aged folk-pop crooner. When he reformed The Verve for a third time, three years ago, it felt like an admission of defeat. After the band split again, last year, history seemed to be repeating itself as farce rather than tragedy. And yet, here comes Ashcroft again, bouncing off the ropes with his most ambitious musical reinvention yet, RPA & the United Nations of Sound. Recorded in London, New York and Los Angeles, the group’s eponymous debut album is a wide-screen rock ’n’ soul affair packed with seasoned hip-hop and R&B musicians. It was produced by the sometime Jay-Z and Kanye West collaborator Dion “No ID” Wilson, and engineered by the 70-year-old Motown veteran Reggie Dozier, whose Grammy-winning back catalogue includes extensive work with Marvin Gaye and Steve Wonder. The string arrangements are by Benjamin Wright, who arranged Michael Jackson’s Off the Wall. All legends, and pretty big shoes to fill. 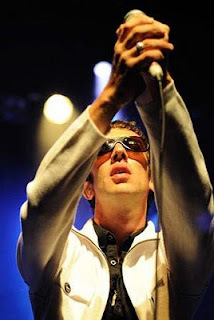 Recording under the United Nations banner helped Ashcroft draw a line between this new musical vehicle, his three previous solo albums, and his work with The Verve. But the singer insists the new name reflects the collective spirit of the project too. Ashcroft has a reputation for spiky arrogance, but he is softer and warmer in conversation than his “Mad Richard” media caricature suggests. There is sensitivity behind his swagger, and an almost childlike lack of guile in his self-aggrandising babble. However, he accepts the charge of possessing a big ego. The reunited Verve split for the third time last year after touring the world for one last lap of honour and topping the British charts once more with their patchy 2008 comeback album, Forth. The fall-out was bitter, with the guitarist Nick McCabe and the bass player Simon Jones accusing Ashcroft of using the band to relaunch his solo career. The singer wearily confirms The Verve have now disbanded for good, although he said much the same after previous splits. However strained relations may have become with his former schoolfriends, Ashcroft now has plenty of famous fans right across the musical spectrum. The Beach Boys’ Brian Wilson, for example, made a guest appearance on his 2002 solo album, Human Conditions. The singer has also worked with the Chemical Brothers and UNKLE, and recently collaborated with the prolific Hollywood composer Thomas Newman on a track for the forthcoming Matt Damon thriller, The Adjustment Bureau. A more unlikely celebrity friend, perhaps, is Coldplay’s Chris Martin, who introduced Ashcroft as “the best singer in the world” when they performed The Verve’s Bitter Sweet Symphony together at the Live8 mega-show in London five summers ago. 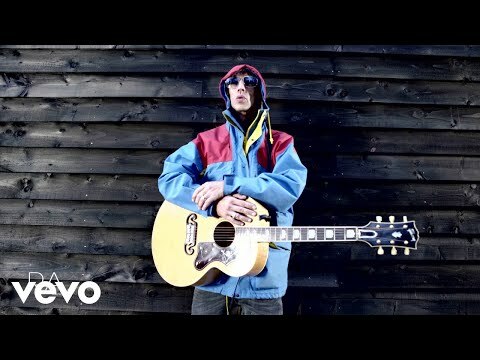 Ashcroft has also toured with Coldplay, and does not share the disdain that some rockers show towards Martin’s wholesome, family-friendly image. Ashcroft has admitted in the past to having a depressive personality, and to taking the anti-depressant Prozac. He recently praised the actor, broadcaster and author Stephen Fry for going public over his own battles with depression. “Yeah, it was good thing to do, for him and other people who’ve suffered from it,” the singer says. The boggle-eyed astral traveller of Britrock is a more earthbound soul nowadays: a family man with a wife (the former Spiritualized keyboardist Kate Radley), two young sons and a grand house in the rolling greenery of Gloucestershire, in western England. But he bristles at suggestions that he may be mellowing into middle age as the mundane demands of marriage and fatherhood dim his passion for epic, preposterous, stargazing music.